I stumbled across artists who use this technique to perfection and after trying my hand at the ‘Chilli Sutra‘ series, I realized something in there could be done better. So after much research on the subject I am ready to share my first three attempts at trying to incorporate elements of Trompe l’oeil into my dog portraits for Poonchh. I know there is much more to be learnt, mastered and perfected. But I am super stoked at my first attempts. What do you think? 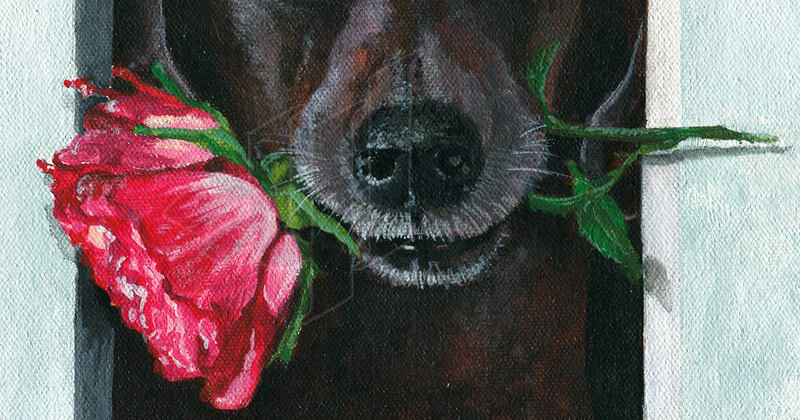 This entry was posted in Acrylics, Dogs, narrative story telling, Poonchh, Portraits. Bookmark the permalink.